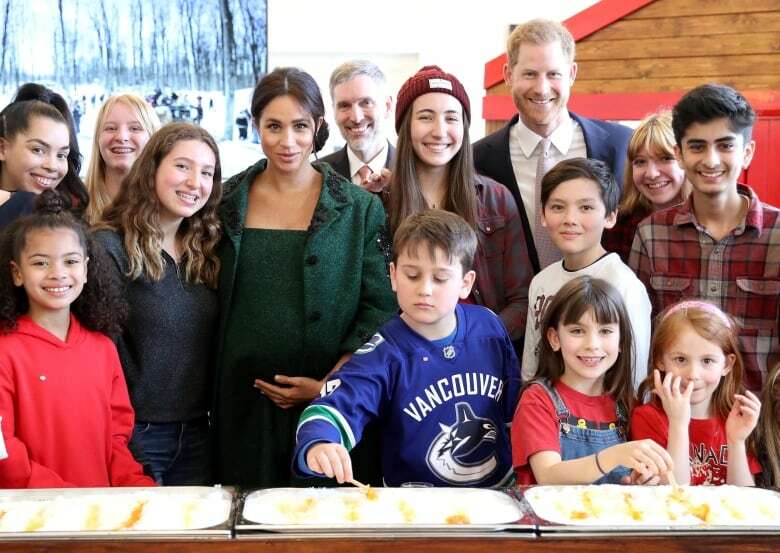 Prince Harry and Meghan, the Duchess of Sussex, met several young Canadians living, working and studying in the United Kingdom when they visited Canada House Monday to mark Commonwealth Day. 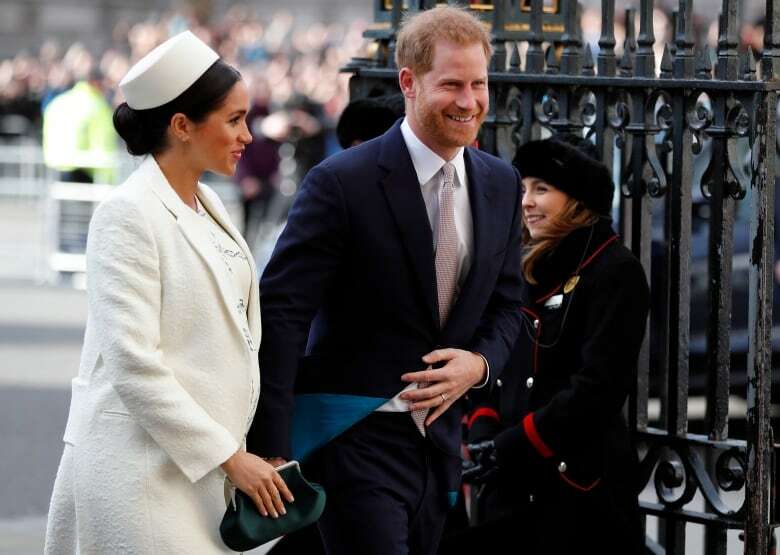 The nerves were shaking just a bit as Curtis Oland and several other young Canadians were preparing to meet two of the highest-profile younger members of the Royal Family. 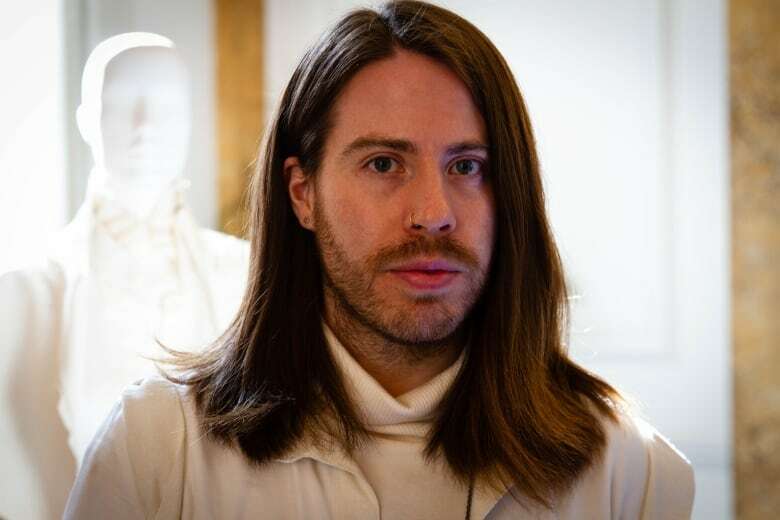 But the fashion designer originally from the Okanagan Valley in B.C. was soon feeling more at ease after meeting Prince Harry and Meghan, the Duchess of Sussex, during a visit to Canada House in central London on Monday. "It was really exciting," Oland said after being part of the youth-focused event held to mark Commonwealth Day. "I think everyone was a little bit nervous but it just felt really natural and really nice that they're interested in what we're doing." Oland said Meghan noticed that he finds inspiration for his work in his Indigenous heritage. "She thought it was really a nice, lovely touch." He said the royal encounter felt "very natural." "You realize that they're just people as well and you can just have a gentle connection … just be yourself." This year is the 70th anniversary of the London Declaration, in which leaders of the Commonwealth countries agreed to be "free and equal members of the Commonwealth of Nations, freely co-operating in the pursuit of peace, liberty and progress," with the monarch as its head. Young Canadians living, working and studying in the U.K. were the focus of the visit to Canada House, the Trafalgar Square home of the High Commission of Canada in the United Kingdom. 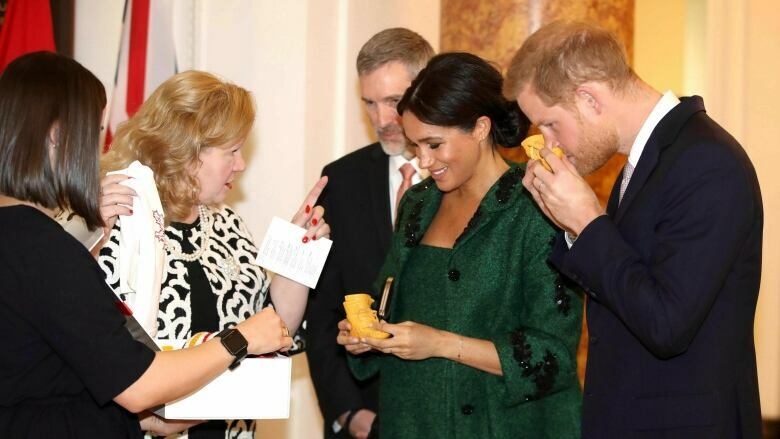 High Commissioner JaniceCharette said it was a "moment of huge pride" to hear the young researchers, entrepreneurs, students and creative artists tell their stories to Meghan and Harry. Those young people included several who are working in startups. "They all have a very commercial interest but each of them had a social good that they were trying to pursue as part of their commercial interest," Charette said in an interview. "It wasn't just profit, it was about purpose and so those ... spontaneous moments actually fill me with great pride and hope about our great country, Canada." The day's focus on youth was in line with a focus for Harry and Meghan, who lead the Queen's Commonwealth Trust, which focuses on young leaders. "One of the main things about the Commonwealth is it's young … it's full of young people," royal biographer Robert Hardman said in an interview. "The Queen gets that and she knows that for the Commonwealth to survive and stay relevant it's got to appeal to young people." That means, said Hardman, that Elizabeth is "very keen to use the younger members of the family like Harry and Meghan, like Willliam and Kate, the Duke and Duchess of Cambridge, to get out there and spread the message." 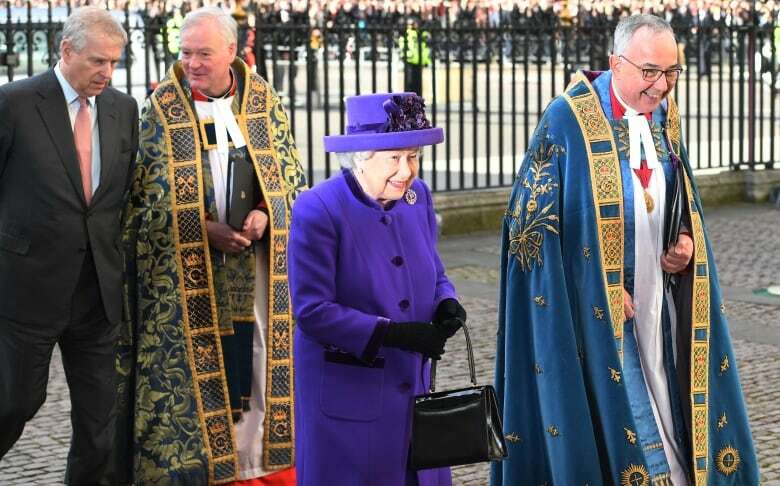 Both royal couples were on hand later Monday at a service in Westminster Abbey to mark Commonwealth Day. The modern Commonwealth exists, according to the royal website, to "foster international co-operation and trade links between people all over the world." In her message, the Queen said the alliance has "stood the test of time," and it continues to grow and adapt to contemporary needs. "We are able to look to the future with greater confidence and optimism as a result of the links that we share, and thanks to the networks of co-operation and mutual support to which we contribute, and on which we draw," she said. "With enduring commitment through times of great change, successive generations have demonstrated that whilst the goodwill for which the Commonwealth is renowned may be intangible, its impact is very real." Prime Minister Justin Trudeau released a statement celebrating the occasion and praising the strength of the association of nations. "The Commonwealth is a voluntary association of 53 countries, working together to promote democracy, sustainable development, the rule of law, and universal human rights. Canada has been a member from the beginning and has played an important role in its evolution," said Trudeau. "On behalf of the government of Canada, I encourage Canadians to take part in community events for Commonwealth Day and learn more about our shared history," he added. British Prime Minister Theresa May, on the eve of another vote in Parliament on Britain's withdrawal from the European Union, delivered a reading from the book of First Corinthians in the Bible at the Westminster Abbey service. "If one member suffers, all suffer together with it; if one member is honoured, all rejoice together with it," she said. Former long-distance swimmer Lewis Pugh, now the United Nations Patron of the Oceans, issued a plea for the Commonwealth countries to think of the impact on the environment first and foremost in their policy decisions. "Almost every Commonwealth nation is a maritime nation, many of us are island nations," said Pugh. A multifaith assemblage of religious leaders attended the service, which included a procession of Commonwealth country flags and performances by Britons, including tenor Alfie Boe, gospel singer Lurine Cato and pop group Clean Bandit. Interested in royal issues and analysis? Sign up for our Royal Fascinator newsletter.